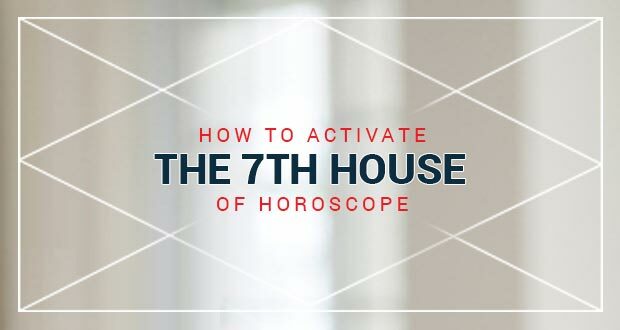 In the series of activation of the horoscope, we are going to talk about the 7th house. The 7th house of the horoscope is as important as the first house of the horoscope. If the first house of the horoscope represents the person’s personality then the 7th house of the horoscope tells about a person’s life partner. Each & every house of the horoscope tells us something, represents any one sphere of life and the 7th house to is no exception of it. The lord of the 7th house is your shadow. Your wife, your husband, your life partner is the 7th house. Even those people who have taken the resolution to be unmarried forever, the 7th house is for their God because they have devoted their lives to him. Here, I wanted to bring one thing in your notice that the 7th house tells us about the partner and the agreement also. We study about the Life-partner, business partner or partnership’s partner and partnership from this house of the horoscope. It is believed that the 7th house of the horoscope is not active before marriage. After marriage, the person gets a spouse and gets a partner. The Person moves forward in the married life and this is where the second mode of life begins. The 7th house starts to become active. Activating the 7th house of the horoscope gives life to perfection. In a person’s life if the 7th house of the horoscope is not activated then it is quite possible that his marriage will not take place. If a person dies by remaining a bachelor then it becomes difficult to get salvation. Some people do not value their life partner in their life, but they remain busy in their business, you can say them work alcoholic and they feel that their time is for work only. 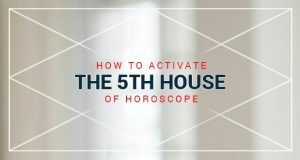 For such a situation, the 7th house of the horoscope is considered responsible because the 7th house represents the thing in your life for which you fully devote yourself, for which you spend your whole time. The presence of various planets in the 7th house either activates the 7th house or deactivate. I tell you in detail the impact of the presence of nine planets in the 7th house. The 7th house is an angular house and Sun is considered to be strong in the angular house but the 7th house is not a favorite house of the Sun. Here the Sun makes the person more professional and he focuses on his career more than his spouse. This is applicable in both cases whether it is men or women. Moon is considered very good in the 7th house of the horoscope but when the same Moon sits in the 7th house of the horoscope in the Gemini, Leo, Scorpio, Aquarius sign then it becomes the responsible for second marriage. Because the Moon in these sign deactivate the 7th use and spoils the marital relationship. Mars in the 7th house creates the famous Manglik yog but keep in mind that the same Mars becomes very auspicious when it sits in the Aries, Scorpio, Capricorn signs in the 7th house of the horoscope. The Mars of the 7th house of the horoscope forms foreign journey yog. The person after marriage goes to either Abroad or separate from his family. This happens in the case of boys but in the case of girls, this type of Mars is responsible for the inter-caste marriage. When Mercury sits in the 7th house the person either marries at an early age or marries to a person who is younger, which means that there is a great difference in the age of husband and wife, but still, the couple remains happy because Mercury in the 7th house make it activate. With its presence in the 7th house, the Jupiter deactivate the 7th house. The person marries with an unmatched partner due to Jupiter of the 7th house. There is a lot of difference between the husband-wife either of age or of work or of business or of poor-rich. But no one can deny the fact that due to the presence of Jupiter the married life remains pleasant. Saturn’s presence proves to be very auspicious in the 7th house of the Kundli but the person gets married in very old age, and he gets success in life only after marriage. In the case of women, it is almost the same. But women are quickly married rather than men, and settles home. If the woman whose husband is too long or black or whose appearance is different from others, then it should be understood that the Saturn is present in the 7th house of the horoscope of those persons. Though it is not necessary, it is seen in most of the cases. Rahu, sitting in the 7th house of the horoscope, deactivate the 7th house and separate the person from the family. Person’s life remains full of quarrel. He takes any action on the gestures of the in-laws. But even then the person does not establish harmonious relationships with the life partner due to Rahu and the situation of separation remains. Marriage remains mysterious and truth never exposed to anyone. Ketu also spoils the 7th house of the horoscope with its presence. The person does not get the benefit from the 7th house actually Ketu deprives of the benefit of the 7th house. Soon after the marriage, strange events start to happen in life. The person wants seclusion. The relationship between the couple remains formal. Husband wives are isolated from each other. Love looks between each other but married life is mysterious. The person gets such in-laws that they show different and do different, we can say that there remains a difference between their speech & action. 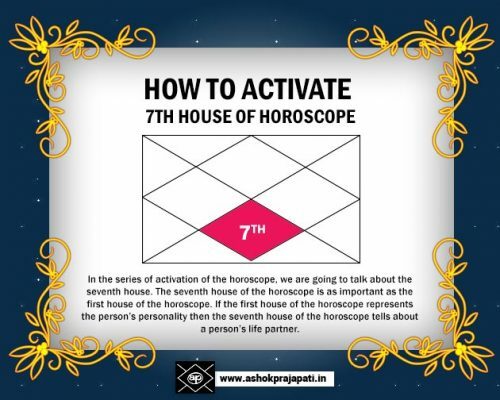 Let’s come to know that how we can activate the 7th house of the horoscope. In the beginning, I have told that the 7th house of the horoscope activates after the marriage and if you are waiting for marriage, then let me tell you that sometimes the 7th house becomes active and due to its activation life becomes hell. Therefore, make sure that you have to activate the 7th house of the horoscope or to deactivate. If the 7th house of the horoscope is already weak, not good then it will be better to deactivate but if you want to deactivate the 7th house of the horoscope then the second house of the horoscope should be strong and good. The best and easily available remedy to strengthen the 7th house of the horoscope is marriage with earthen pot. Alternatively, you can marriage with tree, with the tree of aquamarine, with the berry tree, with tulsi plant etc. By chanting the mantras of Venus, you can activate the 7th house of the horoscope, but keep in mind that if you are single, then immediately after the activation of the 7th house of the horoscope, the strong chances of marriage begins to start or you lot of marriage offers will start come to you. Next: How to activate the 8th house of horoscope?